Optimisation of the traffic flow of vehicles, public transportation and pedestrians in the city of Berlin. Technische Universitaet Berlin. 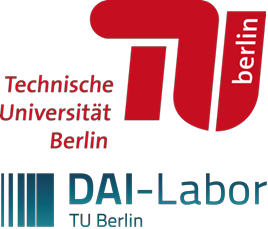 The DAI-Labor at the Technische Universität Berlin performs research and development in order to provide solutions for a new generation of smart services and smart systems. Given the historical data of the traffic flow at a given point, the authorities are interested in visualizing the flow in an easy way and allowing changes to the traffic control infrastructure as well as to the characteristics of traffic to simulate behaviours that could generate congestion or flow of traffic, public transport, and pedestrians. The challenge is to develop an analytics and prediction engine making use of sensory data identifying vehicles (of different types), bicycles, and pedestrians for creating traffic models at different times and road segments. A large number of road segments, crossings, and (pseudo-) roundabouts in the transportation network use traffic control lights to coordinate both pedestrians and vehicular traffic. Hence, public authorities are interested in optimizing the traffic flow for both. Traffic operators to study behaviour of traffic participants. Users to observe the impact of changes to the traffic control infrastructure (traffic light switching cycle). Traffic control operators, visualise the data required, including a history feature. An API is required to query analysis results for transportation applications (e.g. route planning for cars, inter-modal route planning). For developers, the traffic & road model must be extensible.